If you are a bandwagon Golden State fan, a Houston Rockets fan (I'll pray for you), or a scorned Cleveland Cavaliers fan, then this article might not be for you. If you're a casual basketball fan, then this article might not be for you. I said this last year, and I'll say it once again: the Golden State Warriors will be your NBA Champions. For the third time in four years. They will go back to back. With no attempt to discredit the Houston Rockets who are playing amazing basketball, the Warriors are setting up a strategy to provide themselves with a challenge they haven't had in the last four years: being underdogs. While their 4 losses over the last 7 games might look bad in essence, there is a method to that madness that motivates their guys come playoff time. 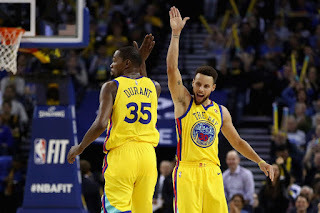 With perhaps the deepest team in the league and the most versatile team at that, it has been evident the Warriors have literally just been waiting for the playoffs to begin.... since the start of the season. 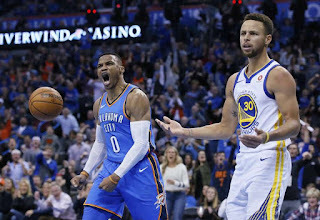 Currently at 53-18, the Warriors have conceded the concept of winning 65 games and their streak of winning 60 games might be in jeopardy too.... however, this is probably the smartest strategy possible for a team riddled with complacency and injury to play their best basketball come playoff time. What is the strategy exactly? Let's take a look. So, Steph Curry has missed 21 games this season. 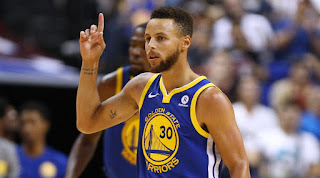 That's the most amount of games he has missed since 2012 when he suffered a season ending ankle injury, and this year has seen Steph struggle at times with ankle injuries, with many fans being overly concerned (and rightfully so to an extent), but if you've followed the Warriors for the last few years, what makes this different is that Steph has had multiple minor injuries over the last few years, and missed some games, but he has played through and with injuries during that time. Steph is not invincible or indestructible, so when we saw Steph injure his ankle at the beginning of December, many felt this was cause for concern. His recovery time was slated to be 3-4 weeks, and he could have returned earlier than he did, but the Warriors took a different approach. 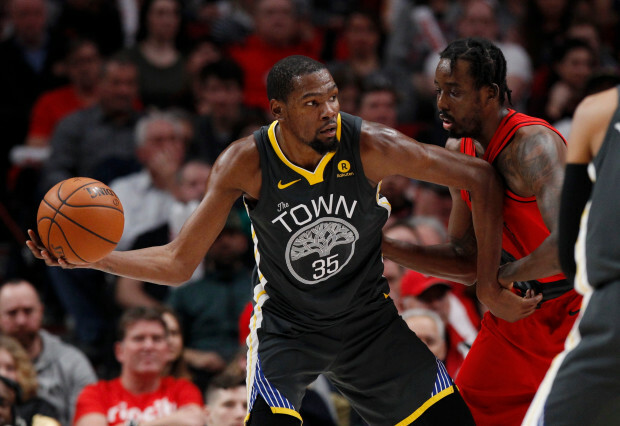 They understood that the season is a marathon, not a sprint, so with Steph out for nearly a month, the Warriors beefed up their defense, and played through Kevin Durant, something they hadn't done before. This would work wonders for the Warriors in focus, as defensively they were tougher, grinding out victories, while offensively of course, they were a little different. Still, the Warriors didn't look bad with Durant as the no. 1 option, just different. Steph is the key to their success, even with Durant and Klay as viable scoring options, so him being healthy was top priority. After a small ankle tweak by Steph following his return, he would come back and claim the Player of the Month award in January, which was well earned and deserved. 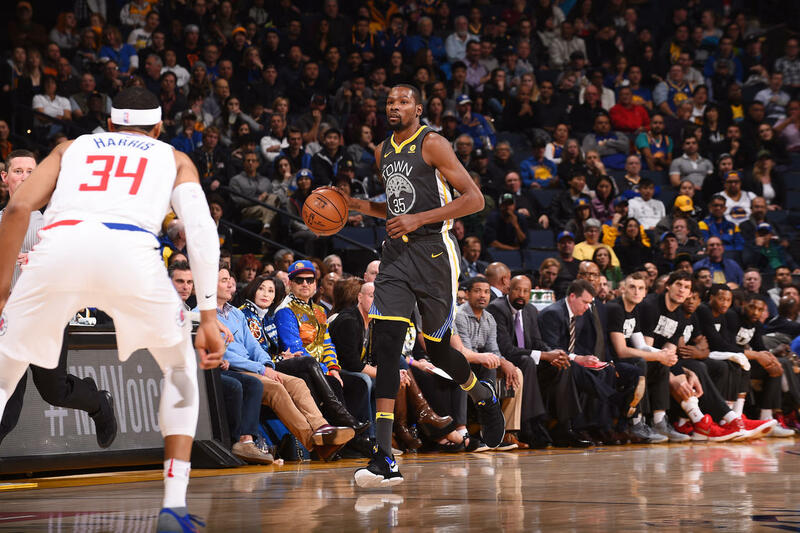 While February seemed to be up and down for Steph heading into the All Star Break, following the All Star Break, the Warriors seemed focused and ready, with Steph leading the charge. 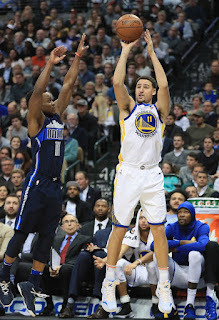 Defensively and offensively, they looked more and more like themselves. However, following a small ankle tweak that caused him to leave a game against the Hawks, Steph would tweak his ankle yet again against the Spurs. It was at that moment that the Warriors, Steve Kerr, and their staff saw a bigger picture, one that a number of teams haven't seemed to catch on to yet. 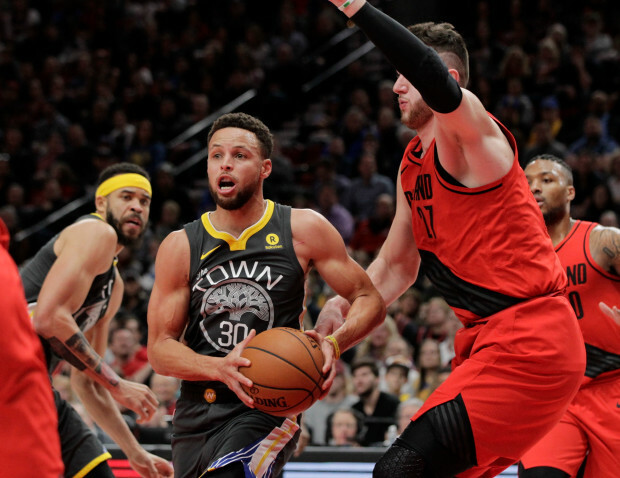 Steph Curry asked and tried to talk his way back into the game against the Spurs, but for Steve Kerr and the organization, perhaps this ankle tweak was a blessing in disguise. The Warriors have relied heavily on their four All Stars, and Klay Thompson has been the most durable of the four, with Durant being right behind him. Draymond Green and Steph Curry, the true heart and soul of the team have been carrying a load for the Warriors and have yet to get extended rest. 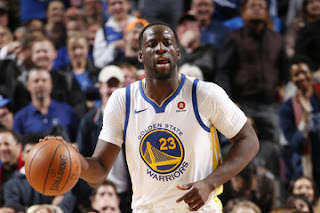 Draymond has had a lingering shoulder injury that might not fully heal until the off-season, but it hasn't affected his play during the stretch without Curry and since the All Star Break. 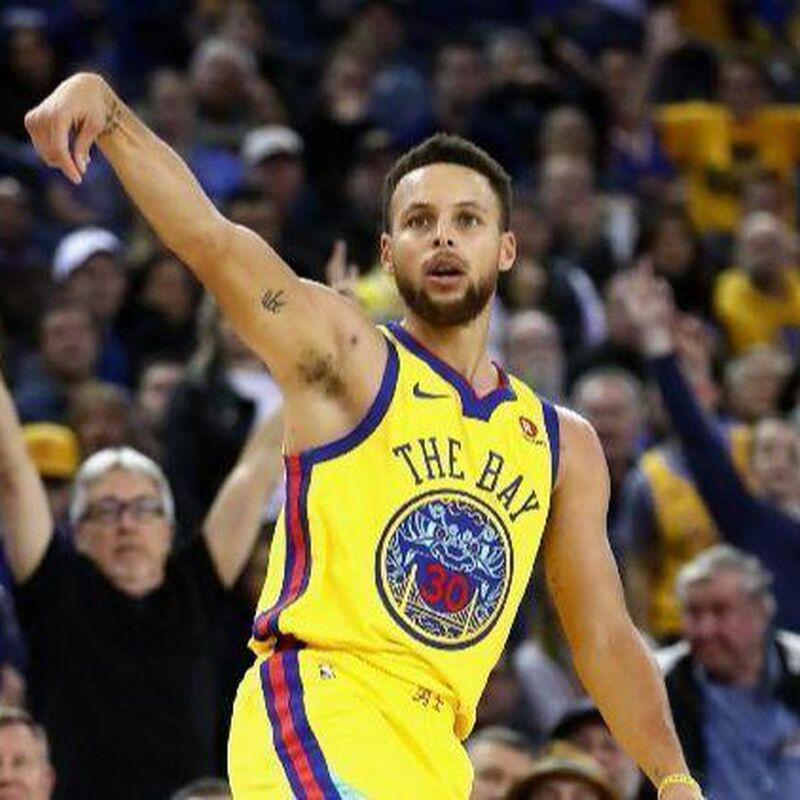 Regardless, with the Curry ankle tweak, a light bulb seemingly went off in the Warriors' head and as a result, they would soon understand that health and preservation is important to their bottom line more than home court advantage and the no. 1 seed in the West. It was clear during the Portland and Minnesota games following the Curry injury that the Warriors seemed lost without their leader (and several pieces of their bench), and that's a big reason why they lost. However, watching that team fight back and take leads against full fledged playoff teams had to be encouraging for Kerr and the staff, especially with the revitalized play of Andre Iguodala and Shaun Livingston, two big pieces of the core. So, when it was realized that Klay Thompson had suffered a minor thumb injury and Draymond was having shoulder soreness, Kerr and company decided to rest Draymond one game and shut down Klay for multiple weeks. 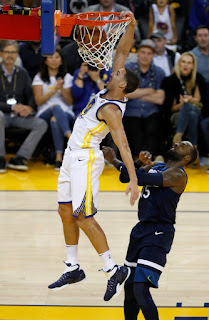 Now, the truth about the injury to Klay is that he probably could have played through it, or only missed a game or two to rest up and get better. However, the Warriors, seeing a bigger picture, gave Klay two weeks off (at least) to not only physically recharge, but mentally recharge. 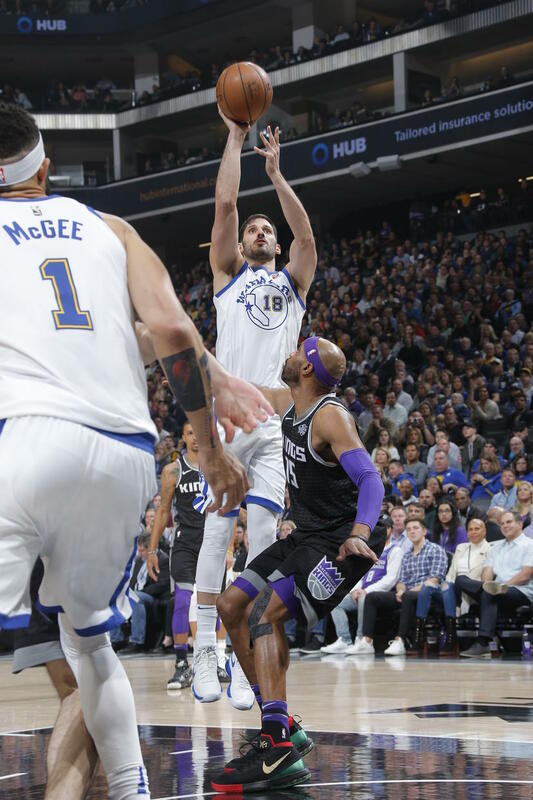 It was a controversial decision to many, but Klay will be evaluated in the next 24-48 hours and likely cleared to play again in another week, so essentially, this isn't a major injury, but a minor problem that Klay could play through (if this was the playoffs he would be playing), and allows for him to rest for the playoffs, seeing as though the Warriors are clearly confirmed at the no. 2 seed. For Kevin Durant, as the no. 1B option for the Warriors, he's been forced to carry a heavy load for the Warriors with Steph out. Some fatigue would begin showing in the Blazers and Wolves games despite a heavy scoring load, but it was evident the Warriors relied too much on him and not their other pieces who can score and create offense. After Durant took a shot to the ribs in the Wolves game, he would play without Draymond, David West, and Klay against the Lakers, but the Warriors utilized the Strength In Numbers motto that got them to where they are and pulled out a victory. 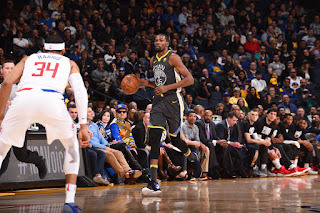 Following that game, it was noted that KD was questionable and had a rib injury, which would sideline him from two to four weeks. Now, we know that KD is hurt, but according to the man himself, he could probably play through the injury. The Warriors however, would take no chances. For the Warriors fanbase, it might be shocking for the Warriors to shut down their three best starters as the no. 1 seed starts fading, but health is paramount to the playoffs and their future. Risking a bigger injury is honestly not worth it. So with that, the Warriors have created a strategy that may be more genius than we realized. Resting their starters during meaningless games to allow them to get fully healthy and be well rested against teams that are scraping and struggling to obtain a playoff spot, or scraping to hold onto the no. 1 spot in the West (more on that later). Why is this a genius strategy? Let's look at that. 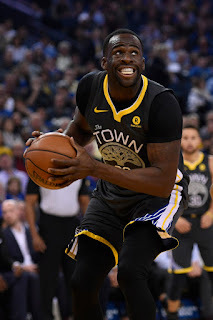 -With Draymond Green leaving the Spurs game while the Warriors were down 10 points to the Spurs, it seemed as if the Warriors were done for. They would be down 15 at one point in the second half, but they would not have the cushion of Steph coming back in for the 2nd, or Klay and KD coming back in, or even Draymond, they had to figure it out themselves. The truth is, this year, the Warriors have one of their most versatile and talented rosters ever, but they haven't produced like it consistently. 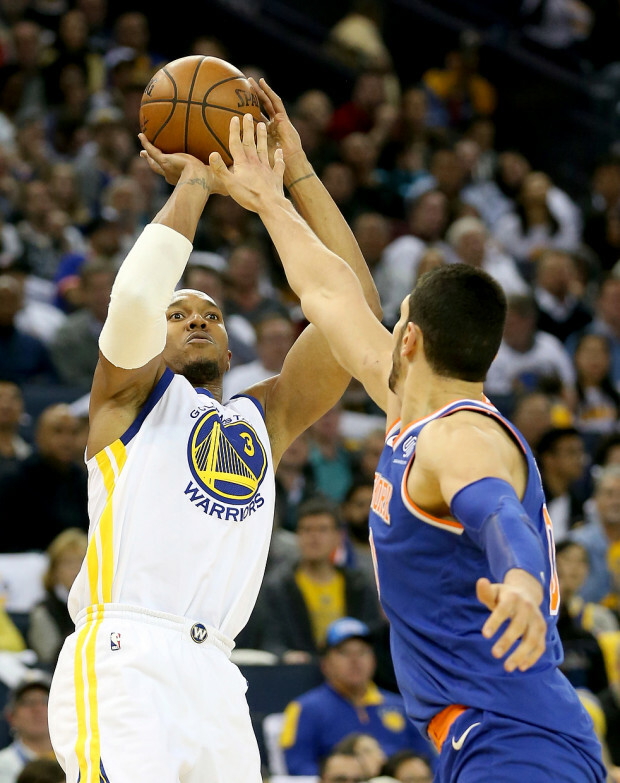 Their second unit has been great in spurts led by Iguodala, David West, and Livingston, but the over reliance on the Death Lineup and their All Stars has led the Warriors to become complacent in a way. Their own success has come back to bite them in a way, but with the starters out, this move allows the bench and the players who will need to be sharp come playoff time focused. 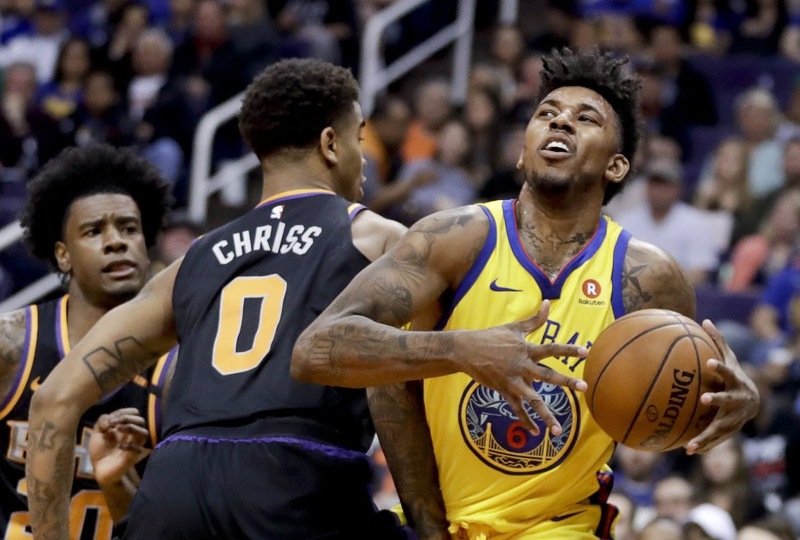 Nick Young has been inconsistent and out of shape at moments this year, but with Klay out, he has to find the rhythm and get into better shape for the playoffs. Javale McGee has been solid since the All Star Break and needs to be starting at the 5, but it is clear the Warriors are saving their most deadly starting lineup for the end of the season and playoffs (the Warriors were much more athletic and better in the first quarter with Javale at the 5), and if Kerr is smart, he will maximize Javale and his minutes leading into the playoffs. 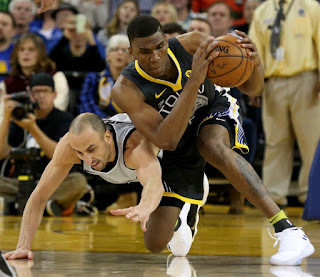 Kevon Looney has stepped up big time in the absence of KD and at times Draymond, while Quinn Cook has shown he deserves a regular roster spot for the Warriors offensively and defensively. 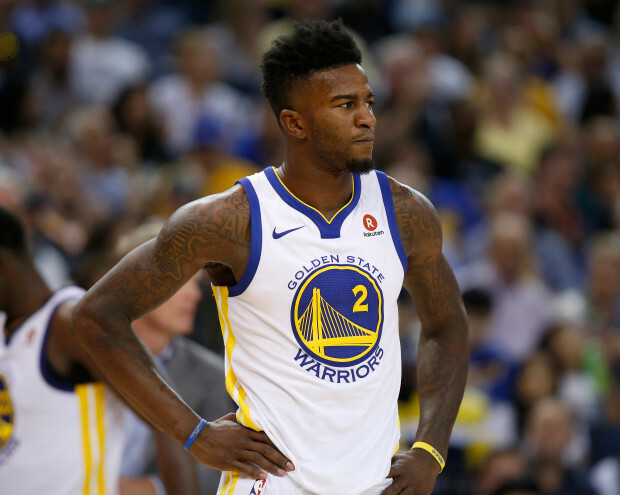 Jordan Bell is still getting his legs back, Patrick McCaw just returned from injury, and so has David West. 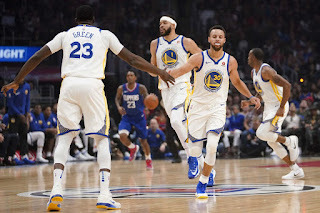 With some games coming up against the Jazz, Bucks, and Pacers, the rest of the Warriors will be tested and if so, their Strength In Numbers will be needed more than ever. The deepest team in the league will have to play like it. So far, though the loss have been frequent since losing their starters, there have been flashes of brilliance for the Warriors. After the crushing loss to the Kings at home, they put up 124 points against the Suns, before fighting without their 4 stars to nearly beat the Spurs in San Antonio (with a mostly full Spurs squad in tact, minus Kawhi of course). Here is what has to be encouraging for the Warriors in this instance. While the Warriors lost 89-75, in previous games, the Warriors gave up 92, 105, and 107 points to the Spurs, with their rosters mostly in tact. 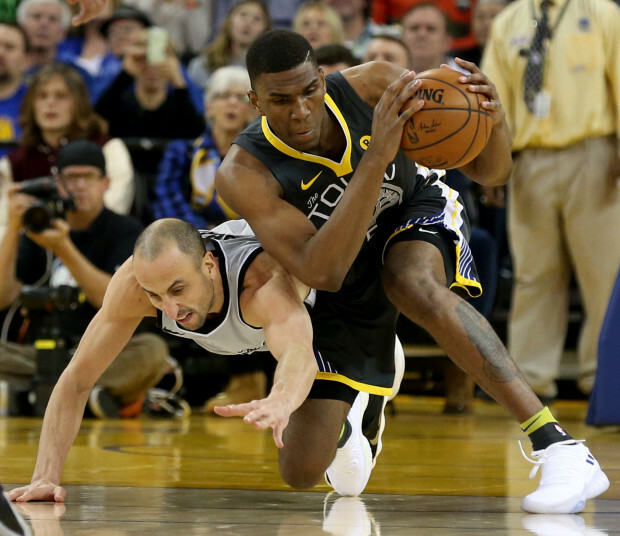 With their roster depleted, the Warriors played some of their best defense against the Spurs, holding the Spurs to only 19 points in the second quarter and 14 in the third and even took a lead into the 4th quarter. 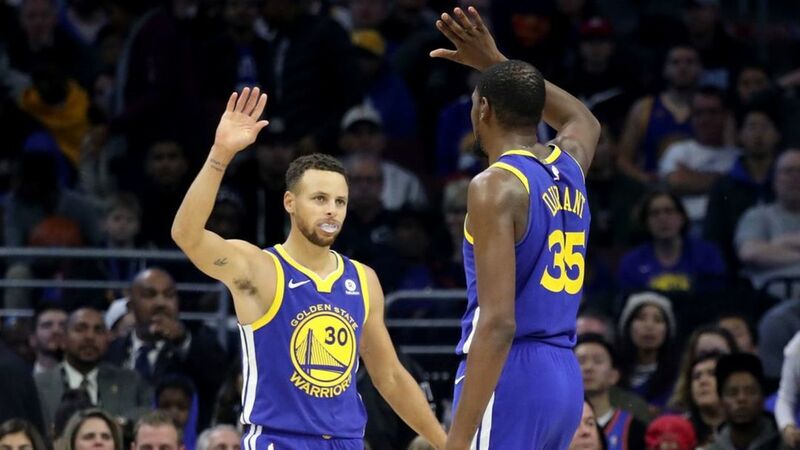 While their late game execution needs to improve, the Warriors have been doing exactly what they wanted to do when the All Star Break ended and that is build better habits. Now, the bench and second unit is battle tested and should be ready to be called upon when need be in the playoffs. The question remains, can they start focused and in rhythm as the stars return? Here is the tricky yet ingenious part of it all. -So, as the Warriors sit at 53-18, they have the benefit of three days of rest and a Friday game against the tanking Atlanta Hawks. Draymond Green should be likely to play, and surprise, surprise, Omri Casspi should also be back by then as well for the bench (he'll miss a week for an ankle sprain and might be held for precautions until their game against the Jazz). Still, the biggest story here is that Steph Curry is likely to return Friday from his injury. Steph has been practicing and in shootarounds with the team, and his return will be welcome. 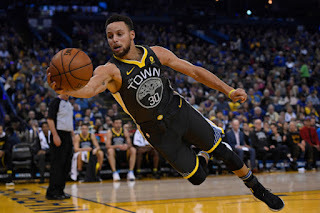 Steph will find himself in a familiar position that will be perfect for getting into rhythm again and what better way to return than against a team who need to lose for better draft position? 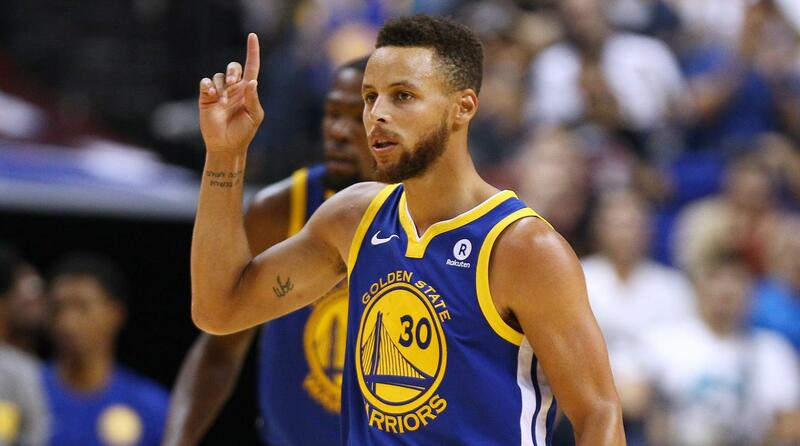 Steph is ready to play again, and a starting lineup with Steph, Nick Young (or Quinn Cook), Draymond, Iguodala, and Javale or Zaza should be solid against the Hawks and maybe even against the Jazz. Utah however is a tough team to beat, but the Warriors could very well pull out that victory with a focused Steph and Draymond in the lineup. Letting Steph run the first unit with some good spacing and Andre and Draymond or David West and Andre running the second unit can be important for rotation purposes come playoff time. Steph will be back in form over these next few games and it'll be interesting to see how the Warriors fare with Steph back in the lineup as the leader and likely with 25 shots per game. As for Klay Thompson, by the time Steph is back Friday, Klay will have been out for well over a week, and approaching the end of his second week out. 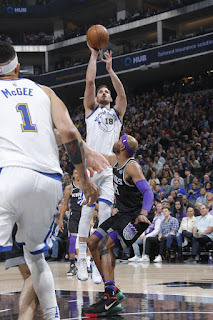 It is plausible for Klay to be back for the game against the Bucks or the Pacers, and I expect him to return for one of those and since the Warriors are done with strenuous back to backs (their last two back to backs this season feature the Kings and the Suns in at least one or both of the games), this allows them to get into a rhythm for the playoffs and rest as well in between games. So, by the end of the month, barring any setbacks, Steph and Klay should both be back playing and prepping for the playoffs. What about KD? This is where it gets a little tricky. 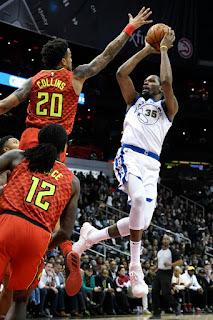 KD is likely to heal from his rib injury sooner than the expected time, and I suspect he will be back for sure before the playoffs begin for rhythm purposes. If one is looking for a game that KD could make his return, look no further than April 3rd against the Oklahoma City Thunder in OKC. After the Warriors got whooped pretty badly in both Oracle and OKC, they responded by destroying the Thunder in Oracle and likely will want to carry any momentum into OKC. If KD is cleared in two weeks when he is evaluated, then I feel as though he could either return in the April 1st game against the Suns just to get back into a groove, but logically, the OKC game seems likely. So, barring any setbacks, the Warriors can be fully healthy and ready for the playoffs by the beginning of April. Coincidence? Not exactly. The Warriors were always going to have to fight off these issues this season and they knew it. Considering the circumstances, they are much better off than they could have been, and in a short time, they will be fully healthy and deadly once again. This is a long term plan and strategy that could work wonders in the playoffs. Which leads me to the final piece of this discussion. -I'll keep it brief. The Warriors have a plan to go 16-0 in the playoffs and they are building to that clearly. The weeks of rest for their stars, the focus and detail they are giving their bench players, the amount of ball movement and trying to keep every piece involved, it is clear. 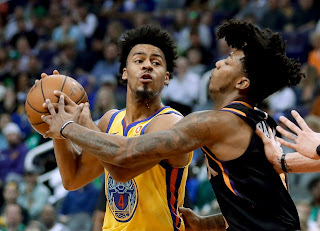 With the bench not producing as well as they should have, they have found a star in Quinn Cook and a reliable scoring option and decent defender for their second and third unit. So, heading into the playoffs, the Warriors could have a fresh and rested Steph, Klay, and Durant running the first unit with Draymond and Javale, or even Jordan Bell or Looney at the 5 for youth and length. They could run with Nick Young, Quinn Cook, Livingston, Iguodala, and David West for the second unit, or even look to Zaza if they need to. Their options are unlimited and if they can balance their defense with their shooting in these rotations, 16-0 is possible. Is it likely? No, but neither were 73-9, or 16-1 and we saw how that turned out. Their biggest challenge is the Houston Rockets and unfortunately for Rockets fans, the 1st seed might give you home court advantage, but it also might present the toughest road to the Western Conference Finals. Imagine a fully healthy Spurs as the 8th seed facing the Rockets, or a fully healthy Timberwolves squad facing the Rockets. The type of defense the Spurs play in the playoffs will be trouble for the Rockets, and the Wolves healthy could be a slight issue for the Rockets. Then, if they are able to get through those teams, then comes the second round. Right now, if the playoffs started today, the Thunder or the Spurs would be their second round opponent. For the Warriors, they know they have the HCA over every other team in the West except Houston, and despite the Rockets being 2-1 this season over the Warriors, come playoff time, a fully healthy Warriors would be the favorites in a series. The Rockets have a very good roster and a very good offense, but the advanced stats are a bit misleading for all the Nick Wrights and ESPN announcers of the world. The Rockets defense has improved this year, but they still struggle in transition, and their reliance on ticky tack foul calls and the three point shot will be a problem in the playoffs.... for opponents and themselves. In terms of efficiency, the Warriors have a more deadly attack, plus they share the ball better, which is a result of the Rockets utilizing a lot of ISO from James Harden and even late game ISO from Chris Paul. Against a team that plays the best team defense and defends ISO very well in the playoffs, the Rockets will find trouble. The adjustments that the Warriors make in the middle of a game are what make them so deadly, and come playoff time, this is what makes them the favorite. A number of high IQ players and the ability to defend well. So, what is the true goal of the Warriors for the playoffs? They want to be healthy and well rested to avoid ailments affecting their consistency. If they can get out of the first round within 4 games, and even the second round within 4 or 5 games, this allows their players to rest up and recharge in between each series. While it may seem impossible to give the Warriors a chance to sweep the Rockets even without HCA, keep in mind that up until recently, the Warriors were the best road team in the league and played better on the road than at home for a majority of that time. All of that was by design. The Warriors knew the challenge that would be ahead and they've been an excellent road team while knowing they can still depend on Oracle to be live for them. If the Warriors don't face the Rockets in the WCF, their strategy will have paid off and they'll likely still have HCA through the playoffs anyways. For GS, they used the end of the season to get fully healthy and gifted the Rockets the no. 1 seed in favor of getting fully healthy and to be well rested heading into the long term grind of the playoffs. Talent wise, there is no team better than the Warriors in the league. IQ wise, there is no team better than the Warriors in the league. Offensively, there is still no team better than the Warriors in the league. Defensively, they are top 5 in the league, even with their struggles of being complacent. They lead the league in assists and blocks, are top 10 in rebounds, top 6 in steals, and they are battle tested. After three straight Finals trips, this team knows what it takes to avoid mental and physical burnout and how to win. Their strategy is simple: show up and play hardest when it counts. You can count on the Warriors to head into the playoffs with their eyes on one thing: perfection. Watching them work towards that goal will either be a beautiful thing for us, or an ugly occurrence for the rest of the world. 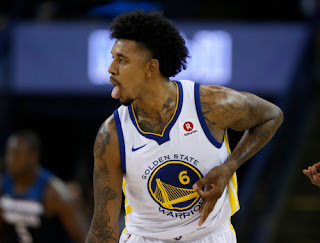 Still, if you are a Warriors fan, hater, or just a NBA fan, the truth is clear: a fully healthy and well rested Warriors team is a disaster for the NBA playoffs and any opponent they face. Can the Warriors get their third title in four years? It's almost time to buckle up for the ride.